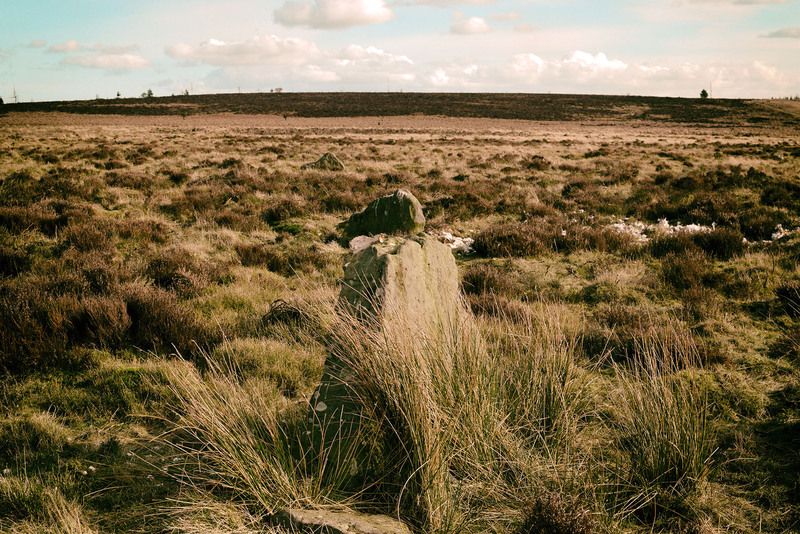 A friend and I took a walk around Sleights moor starting at the High Bride Stones, a group of Prehistoric Standing Stones that have been interpreted as the possible ruins of two Four-Poster Stone Circles or the remains of a number of Stone Rows. We followed the lines of stones to the edge of the moor and the descent into the Murk Esk valley. A Larsen trap, one of two in this small area, both thankfully empty. Descending the bank to the Low Bride Stones on Sheephowe Rigg. Like the High Bride Stones on the moor above, this is a very ruinous site. Archaeological surveys have revealed over 100 stones including a mutilated cairn. The current best guess is that many of the stones once formed part of a prehistoric enclosure. We moved north along the top of Lowther Crag to the disused Bolton Crag quarry, one source of the beautiful Middle Jurassic moorland sandstone. Across the Esk valley we can see the quarries at Aislaby. Stone from these quarries was used to build the 11th century Abbey at Whitby, the foundations of the old Waterloo and London Bridges and the piers at Whitby. Walking up onto the moor top we found small, loose boulders made of ‘white flint’. This stone was prized by the steel industry, its high silica content, up to 98%, meant that it was ideal for making refractory bricks and moulding sand. We moved across the highest part of the moor to Black Brow and its two Bronze Age kerbed burial mounds, the Flat Howes. 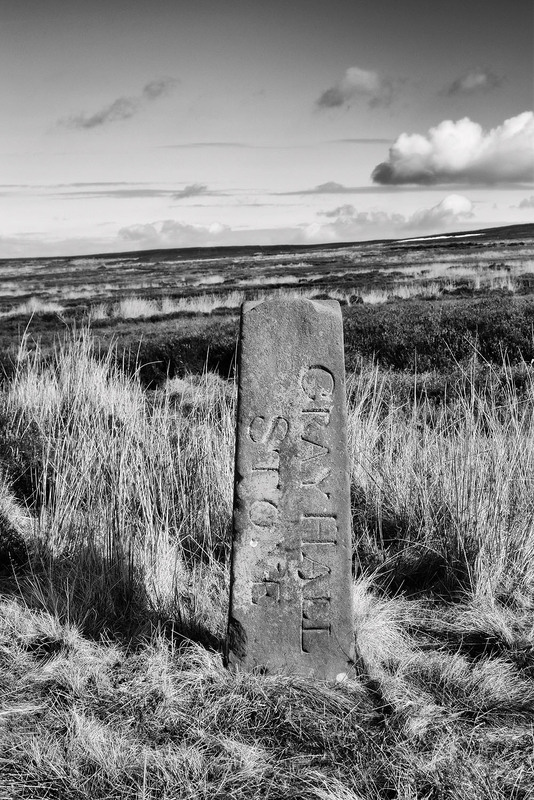 This is the highest section of the moor, there are uninterrupted views along the Esk Valley to the Kildale Gap, across the moors towards Fylingdales and down to the coast into Whitby, a fitting place to spend eternity. The street passes along the eastern edge of Thimbleby Moor before climbing along the edge of Black Hambleton. The hill dominates the views to the east, to the west the moor looks out over the Vale of Mowbray towards the distant Pennines. 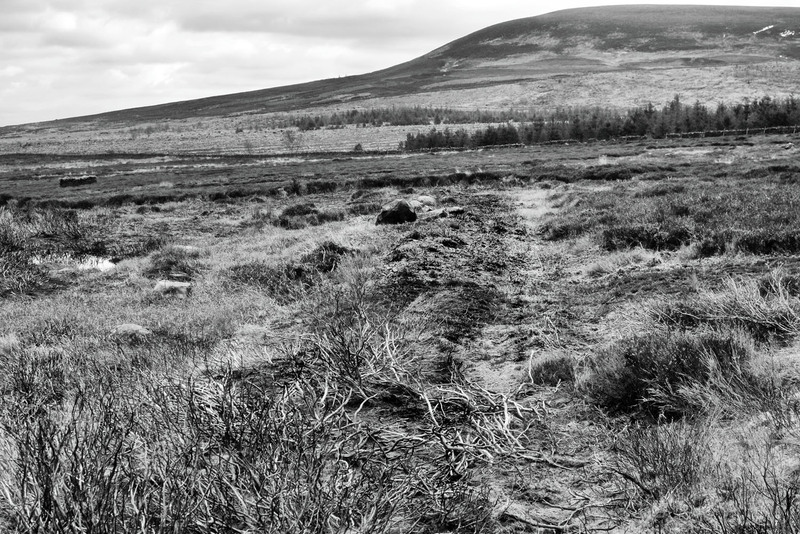 Until recently a large section of the moor was covered with forestry. 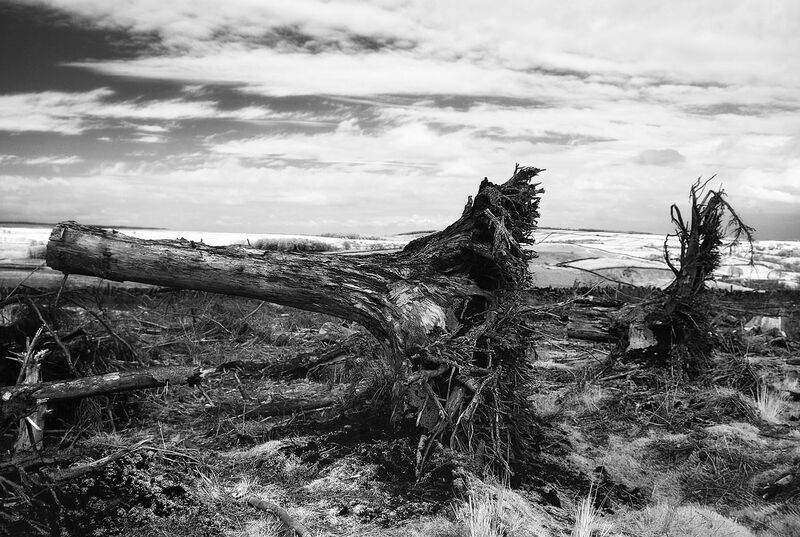 The trees have been harvested leaving this area of the moor covered in tree stumps and debris. The Nine Stones site is bisected by a stone wall, open moorland on one side, the remains of modern forestry on the other. 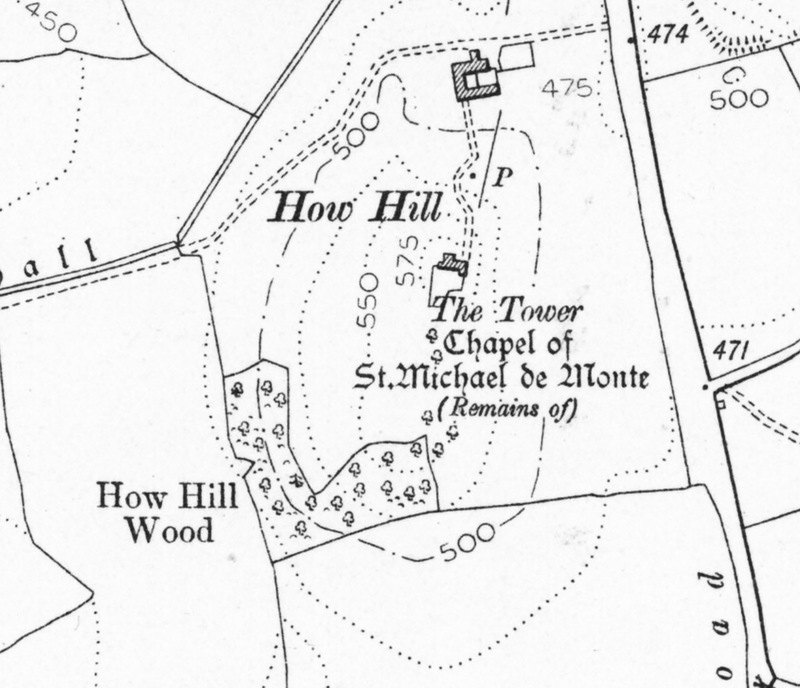 Old maps show the majority of the Nine Stones located on the forestry side of the wall. 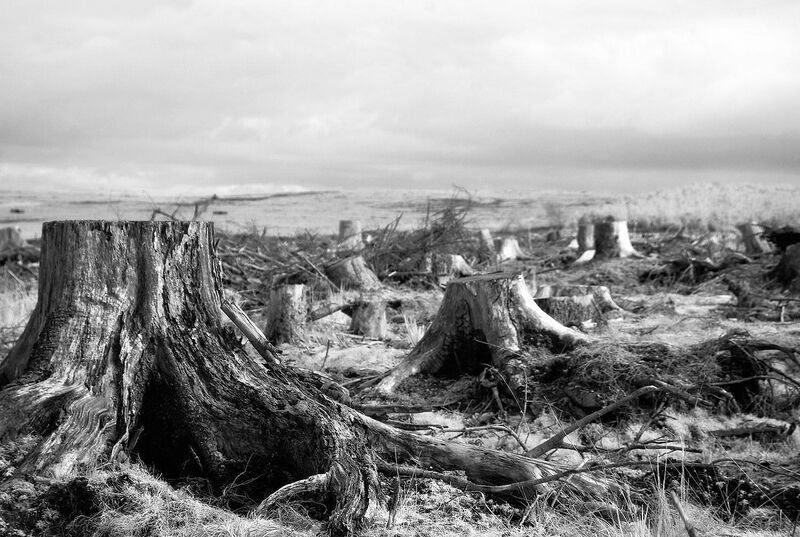 There are a number large stones lying prone in the tangled chaos of the forestry clearance. The weathering patterns on a few of these stones indicates that they may have once stood upright. 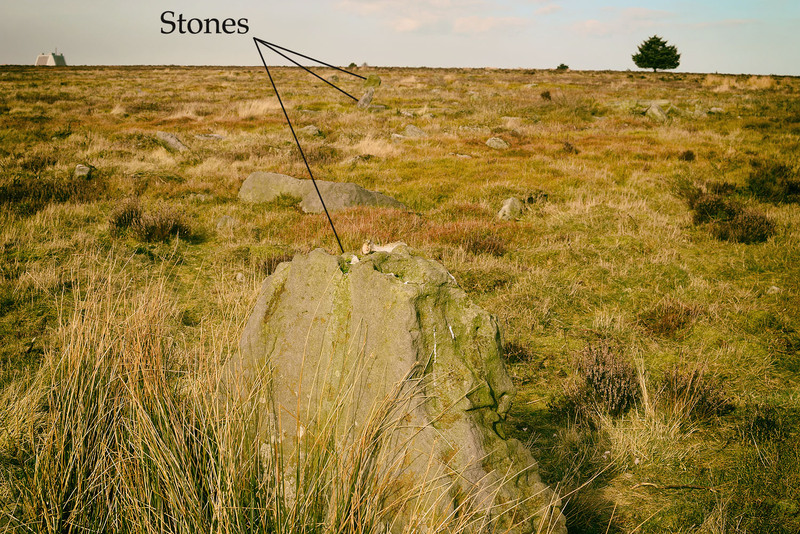 The moor has a number of areas that are littered with stones. It is almost impossible not to see alignments amongst these stones, most are coincidental, others may be deliberate. 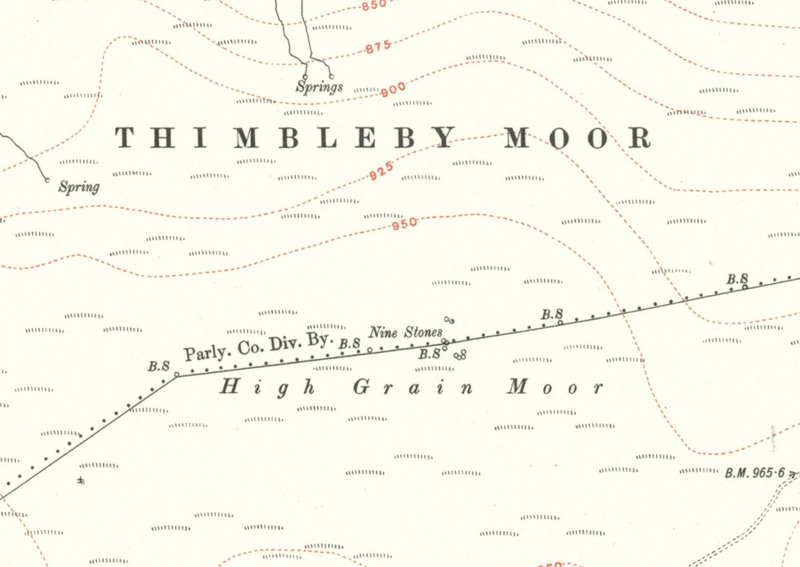 The alignment below terminates at a small standing stone and appears to refer to the distant barrow topped peak on Cringle Moor. This is also a very rough alignment on the summer solstice sunrise. A low embankment runs across the moor from a small standing stone towards Black Hambleton. This is probably one of Spratt & Browns field walls. Another alignment of small upright stones points to where Hambleton Street traverses the shoulder of Black Hambleton. The stones are also roughly aligned to the winter solstice sunrise. 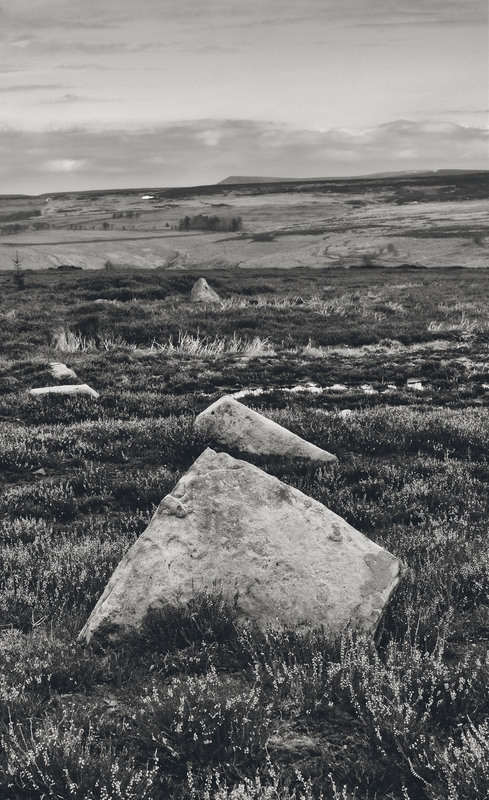 In common with a number of the moorland prehistoric sites the exact nature of Nine Stones is unknown, a number of people have tried to interpret the site but without further study and excavation we will never know its true nature. The alignments I have mentioned are all my own opinion and are extremely imprecise and unproven. 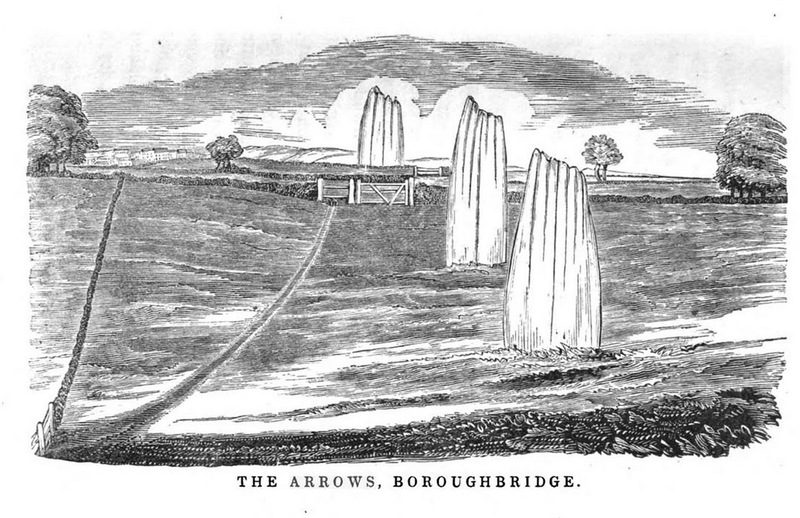 The Devil’s Arrows are a row of three prehistoric standing stones located in a field on the outskirts of Boroughbridge. The stones exist in a wider, complex, prehistoric landscape, a recent archaeological survey of the surrounding area uncovered a number of features including a double timber post row and an associated ditch, extensive flint scatters and grooved ware pottery. The tallest stones is 22.5 feet high making it the second tallest prehistoric standing stone in the UK after the Rudston Monolith at 26 feet. Graeme Chappell recently informed me that the Rudston Monolith, 44 miles away, is aligned precisely due East of the Arrows. ..little without this Towne on the west part of Watiling-Streate stadith 4 great maine stones wrought above in conum by Mannes hand. I take to be a trophaea a Romanis posita in the side of Watheling Streat,as yn a place most occupied in Yorneying ad so most yn sighte. A German traveler, Lupold Von Wedel visited the stones in 1584 and recorded seeing five stones, four upright and one lying on the ground. Thirty years later another antiquarian, William Camden visited the stones but only three were left upright, and again, no mention of a fifth stone..
Neere unto this bridge Westward wee saw in three divers little fields foure huge stones of pyramidall forme, but very rudely wrought, set as it were in a streight and direct line. 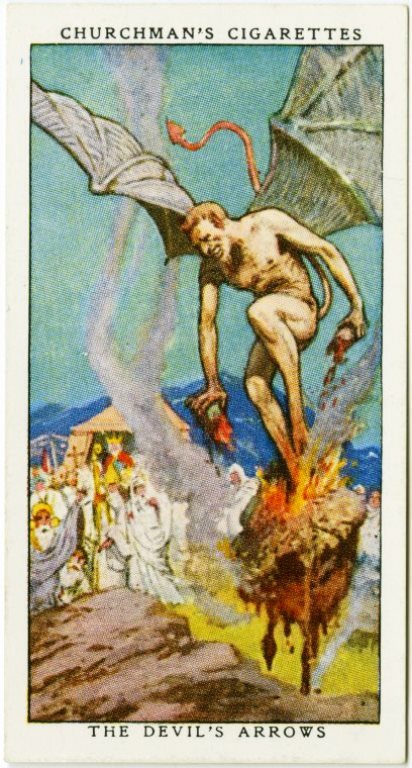 The two Pyramides in the middest, whereof the one was lately pulled downe by some that hoped, though in vaine, to finde treasure, did almost touch one another. The uttermore stand not far off, yet almost in equall distance from these on both sides. John Aubrey’s notes in his Monumenta Britannica complied between 1665 and 1693. Aubrey thought that the stones may have been part of a great stone circle. No evidence has ever been found to support his theory. The fourth stone, toppled by treasure hunters, is thought to have been broken-up and used as the foundation for the bridge over the nearby River Tutt in 1621. There is an account of the top of the stone being taken and placed into the garden of Aldborough Manor. If its lower portion was embedded in the bridge it may still be there. 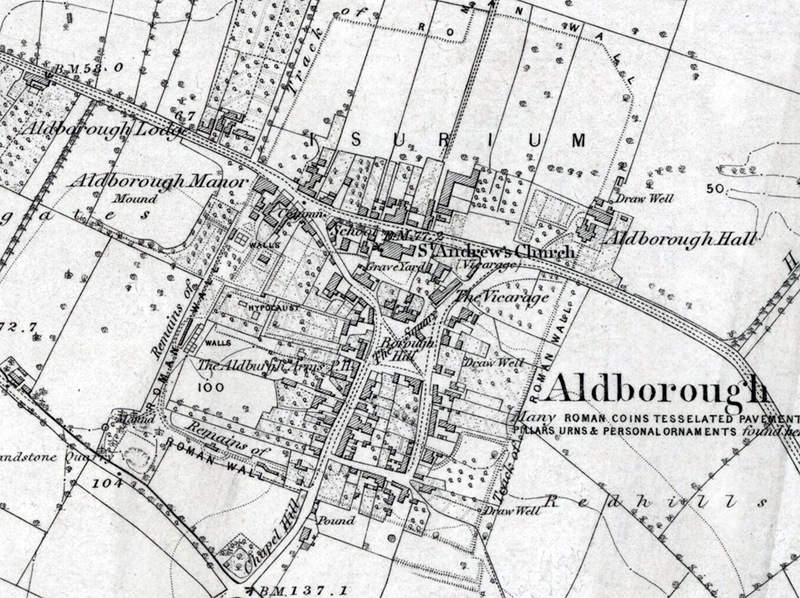 A local belief that the upper segment was set up in the grounds of Aldborough Manor (Lukis 1877, 134), has been kindly confirmed by the present owner, Sir Henry Lawson-Tancred (pers. comm.). Graeme and I have recently been discussing the fate of the fourth stone and decided to take a look to see if we could locate any traces of the missing stone. We started at the stones themselves. There is currently a crop of beets in the field so we followed the well worn path around field margin. 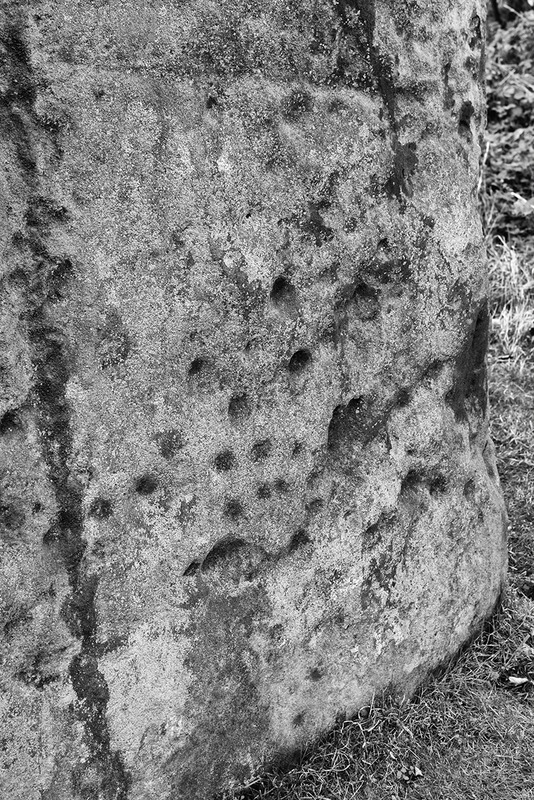 Whilst we were looking at the possible cupmarks on the northern stone we got chatting to a woman who told us that, whilst walking her dogs in the area, she had once experienced an energy at the stones that was so powerful it had made her feel ill. I have enhanced this image a little to highlight the cupmarks on the stone. We also noticed that there were lots of ladybirds on the stones, it turns out that these are Harlequin Ladybirds, an invasive species that are said to be responsible for the decline of our native species. The road beside the field is currently being improved to provide access to a new housing development. It is always a little disturbing to see a development encroaching upon an ancient site. 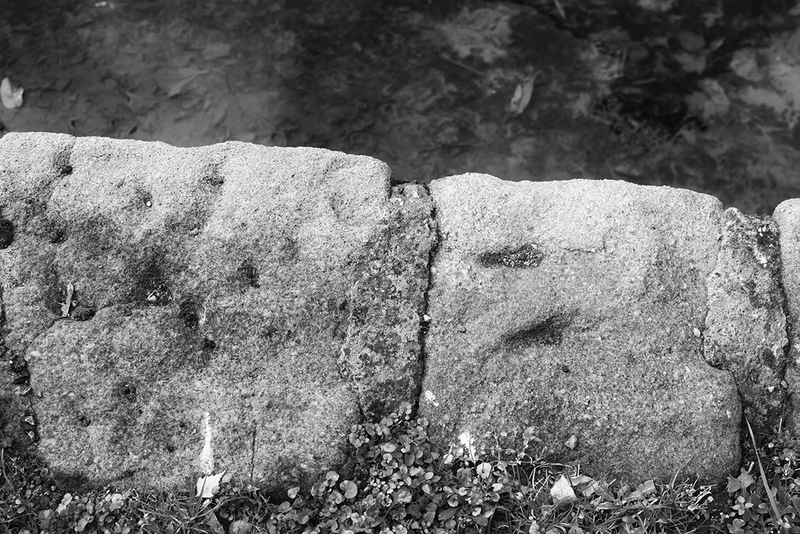 We took a walk down to the bridge over the River Tutt to see if we could spot any remains of the stone. The Arrows are made of Millstone Grit and are thought to have been brought to the site from Plumpton Rocks, a distance of over 8 miles. The local building stone is a fairly uniform. fine grained sandstone so the coarser grained gritstone, with it’s large quartz grains is quite easy to identify. We didn’t find any evidence of gritstone in the bridge but Graeme did spot three large dressed gritstone blocks in the kerbing leading from the bridge. We decided to head over to nearby Aldborough to see if we could track down the top fragment of the fourth stone. Aldborough is a small village on the outskirts of Boroughbridge. It is the site of a walled Roman town called Isurium Brigantum. We enquired at the Manor House regarding the whereabouts of the stone, the owner told us that they have looked for evidence of the stone in the manor grounds but not found any trace of it. In the centre of the village is a large column called the Battle Cross. A nearby plaque states that the cross commemorates the Battle of Boroughbridge in 1322. The plaque also mentions Thomas Earl of Lancaster who was in collusion with the Scots. A Yorkshireman rarely passes up the opportunity to have a pop at his Lancastrian neighbours. The local church is reputed to be built on the site of a Roman Temple, there is a carving inside the church which is thought to portray Mercury. Having arrived at a dead end in our search for the fourth stone, we decided to visit the site where, according to legend, the devil stood when he threw the Arrows, How Hill. What surprised both Graeme and I were the views from the hill, although relatively low lying it has a fantastic viewshed, the Pennines in the West, the North York Moors in the east and as far south as Drax power station. The tower is currently boarded-up, it’s a substantial building, quite singular in design. It has a slight air of malice about it, I’m not sure I’d like to visit it in the dark, as Graeme once did. On checking the BGS website I discovered that the bedrocks around the hill are Plumpton Gritstone, the same stone as the Arrows, perhaps the folklore is right and the Arrows did originate from here. I’m not sure if anyone has ever tried to tie-in the Arrows with the Prehistoric monuments that extend eastwards towards the Yorkshire coast, both Graeme and I believe that it is not unreasonable to think that there may be a connection. 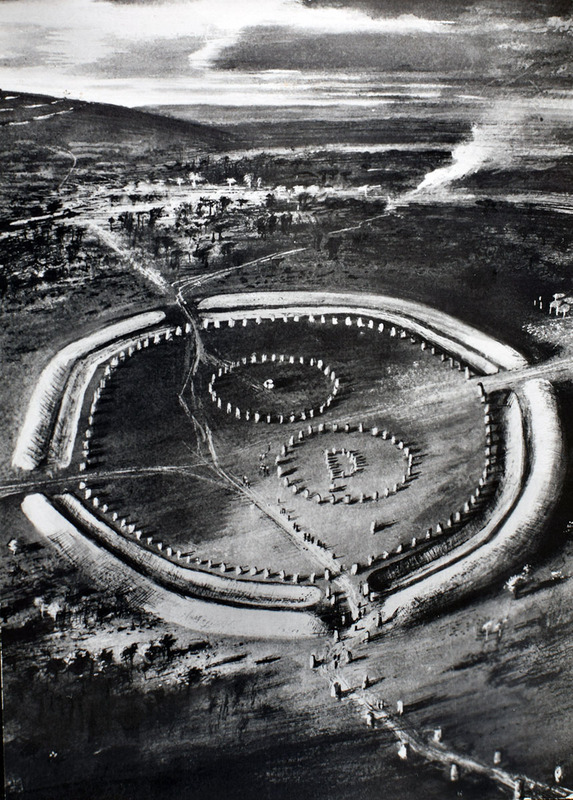 The monument we see today was excavated and reconstructed by Alexander Keiller during the late 1930’s. A number of the stones, including the one pictured above, were reassembled using the remaining fragments. I once took a holiday in Avebury, staying in the Keiller Room at the Red Lion pub allowed me to spend a couple of chilly November evenings and frosty mornings walking alone amongst the stones. I recently returned, sadly the Red Lion no longer takes guests. 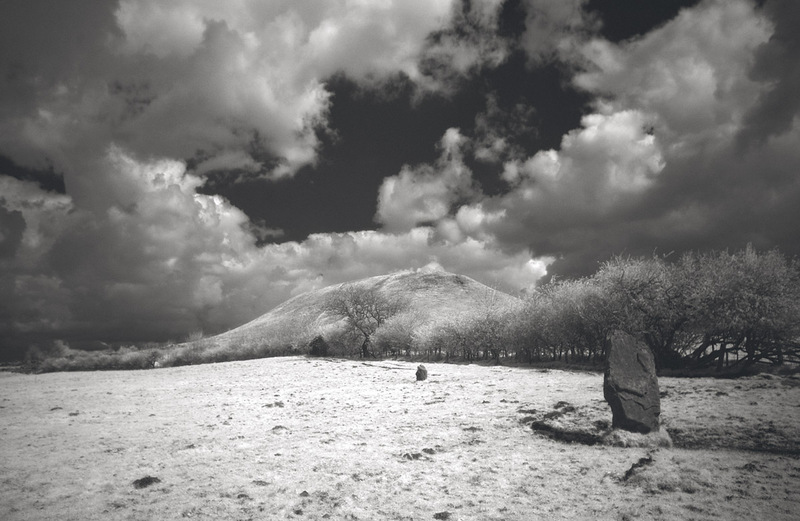 The stones and the surrounding landscape have informed the work of Barbara Hepworth, John Piper, Paul Nash and many other artists. The church, unlike the pub, sits outside of the henge. When siting the original church, it must have seemed futile to try and christianise a pagan monument of such magnitude. The Saxon baptismal font is thought to depict a bishop trampling on a pair of dragons. 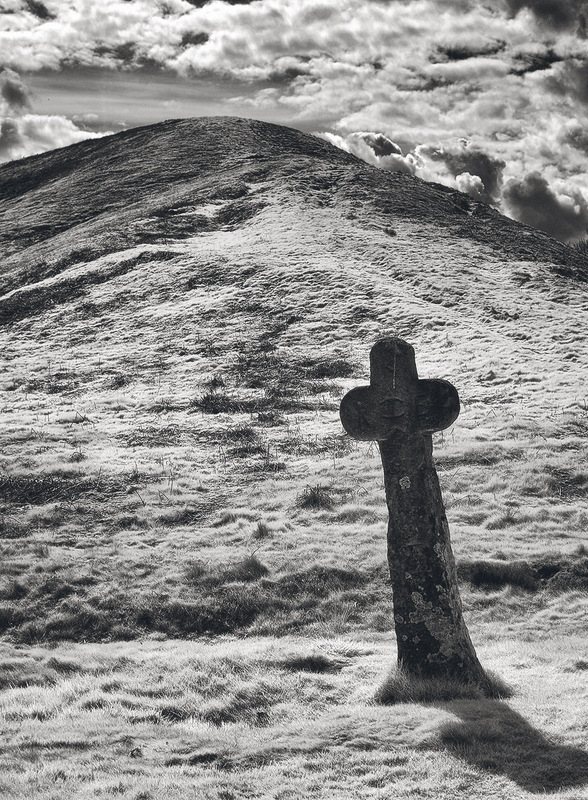 Many of the stones were thrown down and buried by christians during the fourteenth century. The stones were once again attacked during the mid-seventeenth and eighteenth centuries, many stones were smashed for buildings. 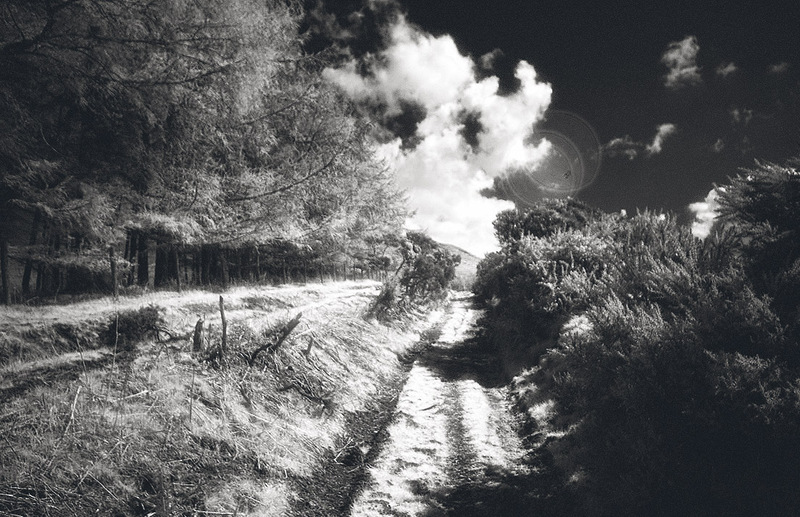 Herepath, the power of the name compelled me to walk along it to the Ridgeway. At home, on the North York moors, my eyes are often cast downwards onto the margins of the path looking for flints. Here the track is made of flint, I felt quite overwhelmed. I had set myself the challenge of finding a single, specific, stone amongst the sarsen drifts (Grey Wethers) of Fyfield Down. Julian Cope calls this area The Mother’s Jam. Polissoir – A block of coarse stone, sometimes as an earthfast boulder or natural outcrop, used for grinding and polishing stone tools. The bowl and grooves of the sarsen polissoir are as smooth as marble. A potential polissoir has been found built into the fabric of the nearby West Kennet Long Barrow with another incorporated into the Stone Circle at Avebury. 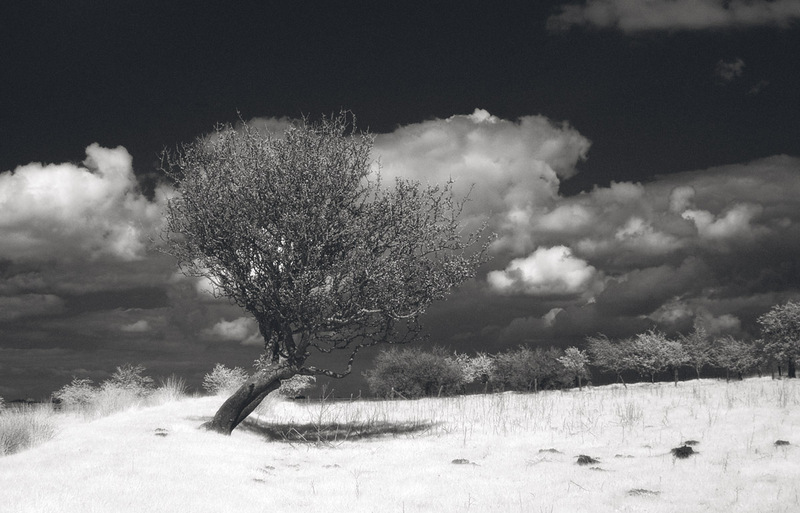 The Ridgeway, one notable landscape Archaeologist believes that it may have first been established as a trackway at the end of the last ice age. 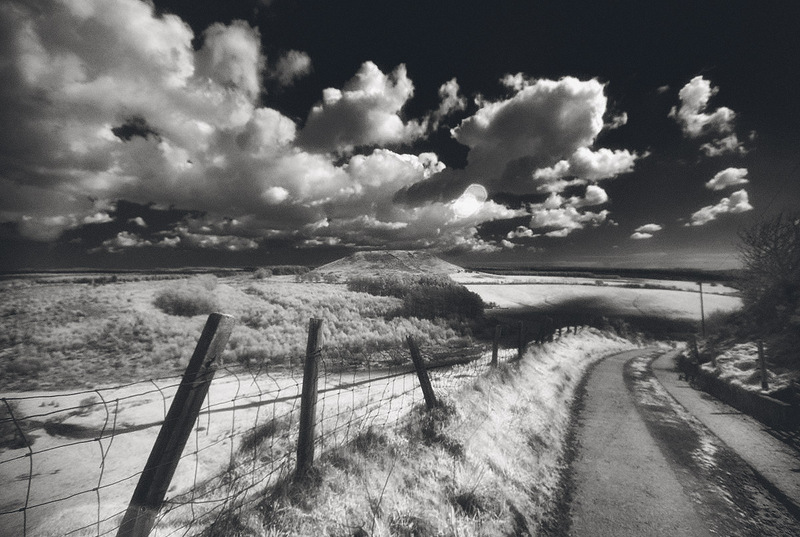 Heading south along the Ridgeway, the summit of Silbury Hill reveals itself. Silbury Hill is the largest man made mound in Europe. The Barrow Cemetery on Overton Hill is crossed by the remains of a Roman Road. 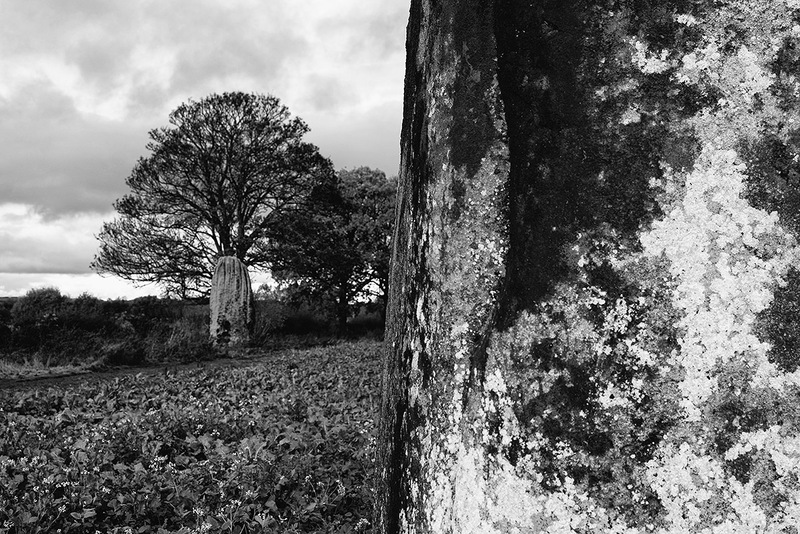 The stones of the West Kennet Avenue led me back to Avebury. This tale begins approximately five hundred million years ago when the north of Scotland was attached to a continent called Laurentia. The rest of Britain was joined to a continent called Eastern Avalonia and Scandanavia was part of a continent called Baltica. Tectonic forces caused these three continents to move towards each other, the collision resulted in the loss of a huge ocean, the Lapetus, and the creation of a mountain range, on the scale of the Himalayas. This event, during which the north of Scotland became joined the rest of Britain, was called the Caledonian Orogeny and lasted about one hundred million years. Orogenesis – The birth of mountains. 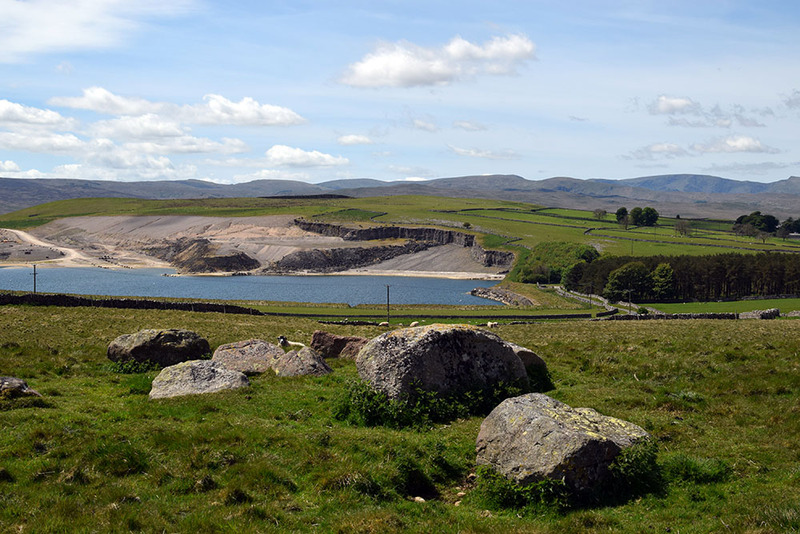 The mountain range that was formed during the Caledonian Orogeny has long since been eroded away but the rocks that were formed during this period remain, one of which is Cumbrian Shap Granite. Shap granite is described by geologists as a coarse grained granite, formed by the cooling of a large body of igneous rock, called a pluton, which was intruded into the pre-existing Cumbrian rocks. The granite is very distinctive and easily identified by the large crystals (phenocrysts) of pink orthoclase feldspar contained within its matrix. The granite intrusion is limited to an area of eight square kilometres on the Fells, a couple of miles to the south of the village of Shap. There are two rocks called Shap granite, pink granite and blue granite. Pink granite is a true granite, it is an igneous rock which originates from a large reservoir or Batholith, deep within the earth’s crust. Blue granite is a metamorphic rock known as Hornfels. It was formed when the native rock around the granite intrusion was altered by temperature and pressure. The zone of altered rock around the intrusion is known as a Metamorphic Aureole. Both the pink and blue granites are exploited for commercial purposes. Pink granite when cut and polished is used as an attractive and extremely durable building stone. With the coming of the railways it became a popular architectural stone with the Victorians and has, and still is, been used as a decorative stone on buildings throughout Britain. Blue granite is usually crushed and used as aggregate for concrete or as hardwearing road chippings. Five thousand years ago the first farmers arrived in Eastern Cumbria. The main rock type on the low moors and valleys around the Shap area is Carboniferous Limestone. The land around Shap is fertile and well drained, an ideal place for the pastoralists and their animals to settle. Once communities became established they marked the land with their stone and earth ceremonial monuments. The valleys and moors around Shap are littered with pink granite boulders, this was not lost on our ancestors and the majority of the stone monuments in the local area are built almost entirely of Shap granite boulders. The most obvious reason for this is availability but I believe that our ancestors may have placed a spiritual value on the distinctive granite boulders. The large feldspar crystals in the granite are the colour of flesh, The texture and colour of weathered limestone can resemble bone. A few stone circles they have a single limestone boulder or in the case of the Oddendale Concentric circle, two stones, one in the outer ring and another between the two rings. 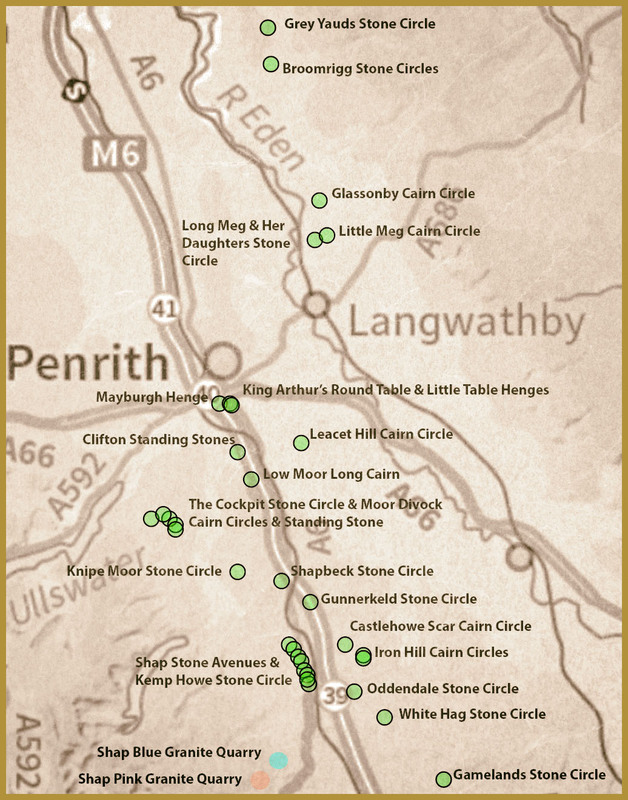 Some, but not all, of the of the regions monuments are intervisible, forming a long chain of ritual monuments along the Lowther and Eden valleys. 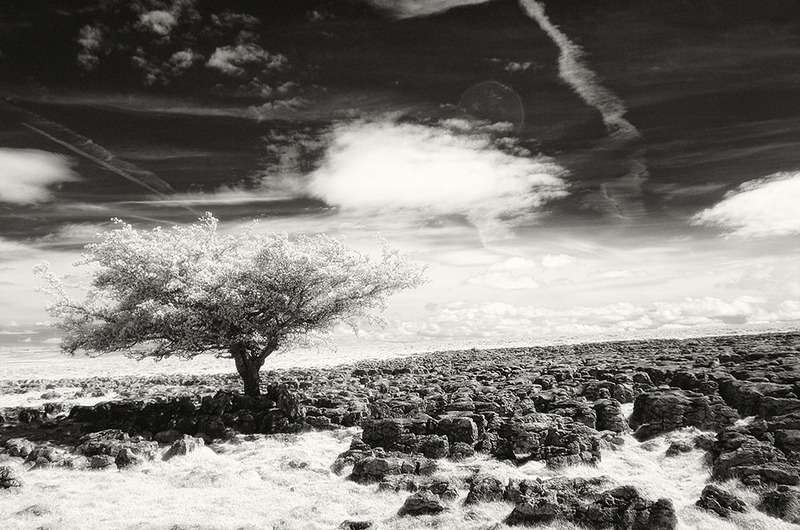 Large single erratics are known as Thunder Stones; No one knows the origin of the name other than a general belief that these stones were cast down to earth by the gods or a race of giants. 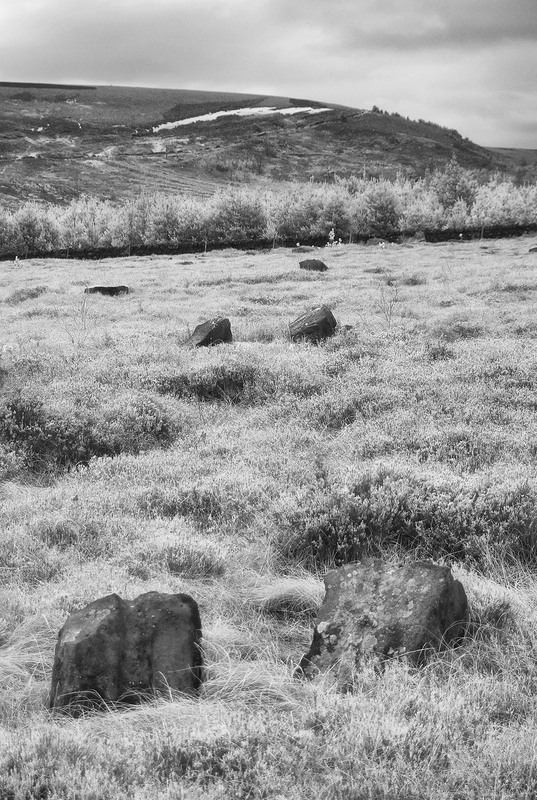 The reasons why Shap and the North of Britain are littered with granite boulders probably alluded our ancestors, up until the beginning of the nineteenth century the occurrence of these stones was used as evidence of a catastrophic flood event as described in the bible. This theory, diluvianism, remained unchallenged until 1840 when a young Swiss naturalist called Louis Agassiz brought a new theory to Britain based upon his observations on the movements of Glaciers in the Alpine regions. Agassiz toured Northern England with the Reverend William Buckland, Professor of Geology at the University of Oxford. Their theory of glaciation and the glacial transportation of material was not readily accepted by the scientific establishment of the day but further evidence-based studies gradually gained support and glacial theory was accepted. 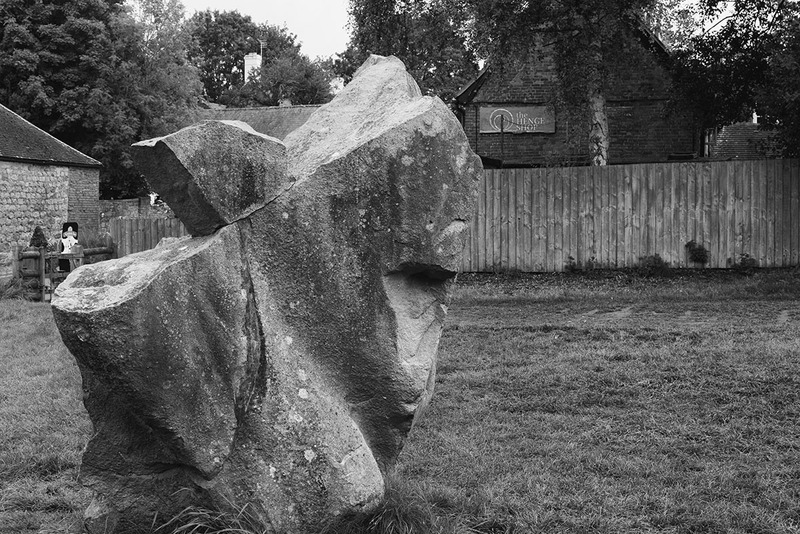 These ice transported boulders became know as glacial erratics, to further the study of glaciation during the nineteenth century local naturalist groups were enlisted throughout the North of England and Scotland. These groups often formed Boulder committees who engaged in fieldwork, logging locations and rock types of erratics throughout the Northern Britain. This information along with the study of landforms was then be used to track the movements of the ancient ice sheets and glaciers. 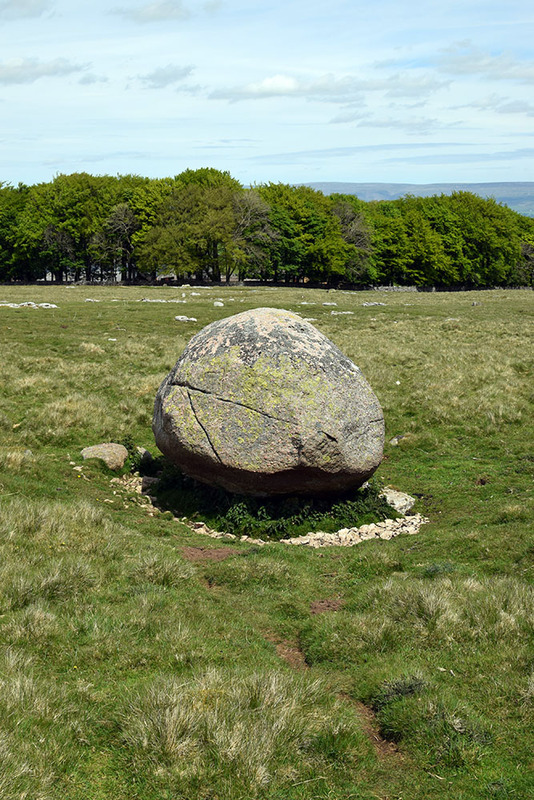 Many Shap granite boulders have been found in the Tees Valley, some have even been given names, the Bulmer Stone in Darlington and the Great Stone in Deepdale. Others have been used as curiosities on village greens and parks. There is even an account of a group of boulders beneath the sea, close to the mouth of the River Tees. Erratics apart, Teesside has another link with the Shap area. Behind the village is a large Limestone quarry; attached to the quarry is an industrial site that processes the limestone. The site was formerly owned by British Steel and is currently operated by Tata Steel. Limestone is an essential ingredient in the production of iron and steel, it acts as a flux, removing impurities from the molten iron and helping slag to form. The basic recipe to create one ton of iron is; two tons of iron ore plus one ton of coke plus half a ton of limestone. The recent decline in the iron and steel industry in Scotland and the North of England has led to a collapse in the market for flux-grade limestone and the closure of many quarries. 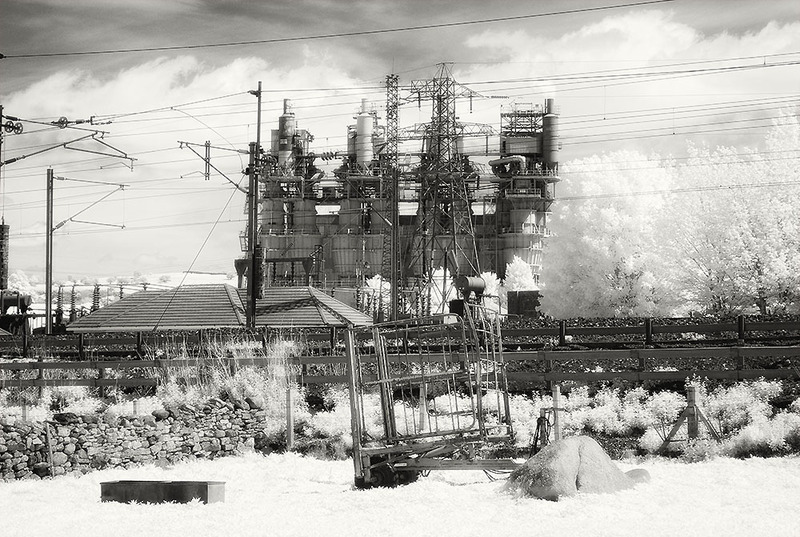 The Hardendale quarry is now closed and the limestone plant at Shap is currently up for sale. The Shap area is a place that continues to draw me back. The terrain is soft, the landscape is dense in history, the vistas are open and the skies can be endless. My genius loci exists amongst the stone circles and limestone pavements on the rolling uplands of Shap. Houe, n. A hill of considerable size. A tumulus. 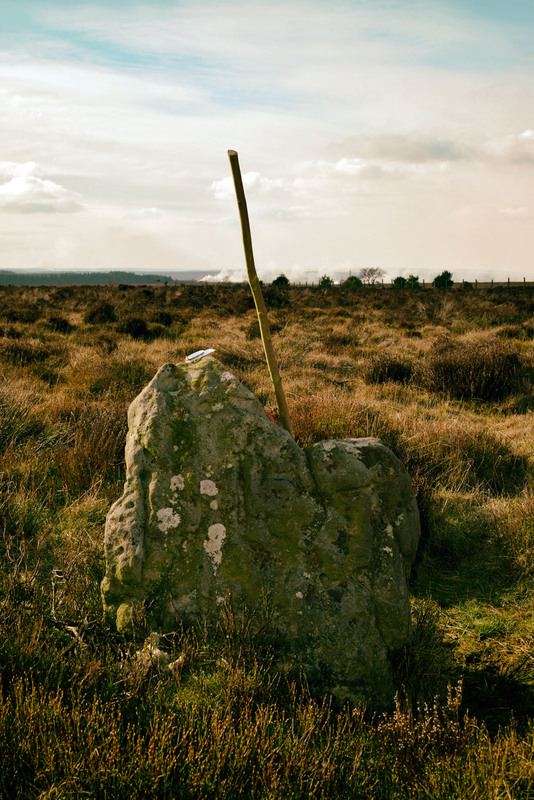 Near Swarthoue on Dunsley High Moor, which was no doubt, a Druid’s station, are several ancient stone-pillars, only about three feet high. Two of them stand one hundred west from this houe, and west from one another; a small houe also stands a few yards west from them. At a distance of one hundred and ten yards north by east of these, two more similar pillars, stand at nearly the same distance from, and also in the same direction from, each other. These four old erect stones forming a long square, may possibly be only parts of other figures, such as triangles or circles, or a long avenue. In setting these, reference seems to have be made to the cardinal points, and perhaps, also to that conspicuous tumulus, Swarthoue, with which they form a nearly right angled triangle. The circular margin of that houe was set round with low curb-stones. It is about twenty yards round at the base, and from ten to twelve feet high. There has been a line of large stones pointing from one barrow to the other, only two of which remain to remind the Antiquary that the ‘Modern Goths’ have been pilfering Antiquity of its relics…I may mention that there are many markings on the two stones between the barrows numbered 1 and 2 but whether the work of man or time cannot now be determined altho’ some of the marks correspond with these on a stone found in the barrow which has evidently been done by the parties forming it. After visiting the Newtondale Spring, Graeme and I took a walk over to Saltergate Moor to have a look at the cairnfield and find a Bronze Age stone row. We took the footpath through the fields beneath Saltergate Brow to the moor edge. The margins of the moor are extremely wet and we had make our way across a small bog to reach the moor. Once on the moor we started to encounter a number of cairns and upright stones, many of which were propped up by smaller stones. 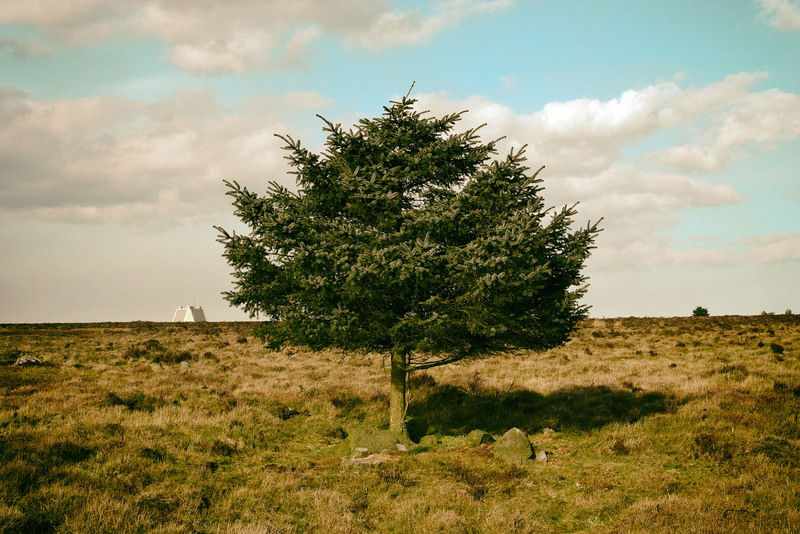 This beautiful tree is growing out the middle of a cairn. The RAF Fylindales ‘pyramid’ is visible in the distance. We eventually found an alignment of stones that matched the Historic England description of the stone row. We walked back along the path from the moor passing a large pond that contained more frogs than I have ever seen in my life. There we so many that we were able to hear them croaking even though we were a few yards away from the pond. As we left the moor we noticed a large Larsen trap beside the pond, there were no birds in the trap but it set me to thinking. The moor has no sheep on it but whilst we were there we found one freshly dead sheep and a couple more piled up beside a ruined stone hut on the edge of the moor. 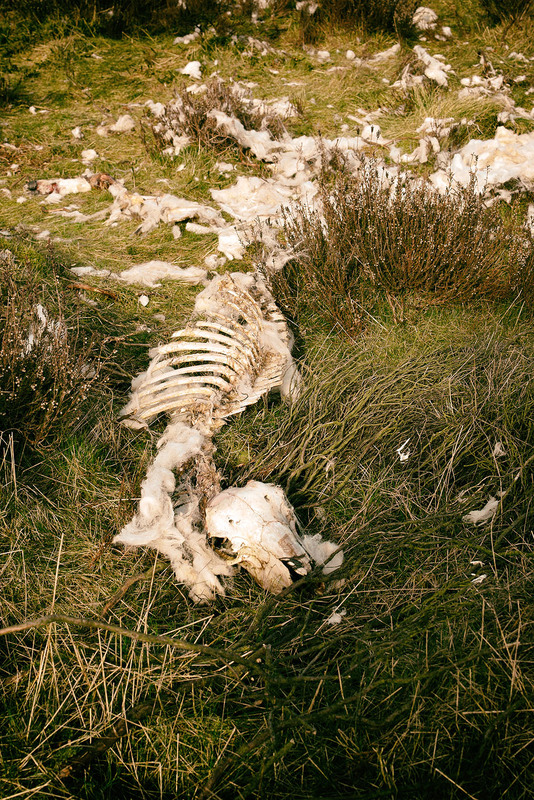 These dead animals must have been moved onto the moor for some reason. Earlier that day we saw a beautiful buzzard soaring over Newtondale, I just hope that the dead animals and the Larsen Trap had nothing to do with this magnificent bird. 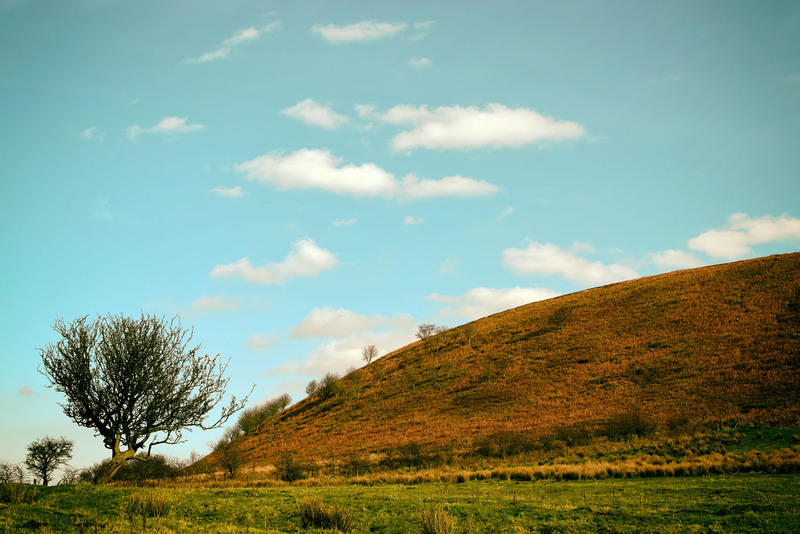 A Stone Circle, Hob’s Heap & the Coal Mines of Harland Moor Pt 1. Yesterday I realised that I’d recently written a blog post about manhole covers..manhole covers! I’ve had a fairly odd few weeks which have left me unable to venture to far from home, I needed to clear my head and for me the best way to do that is a mooch across an empty moor. 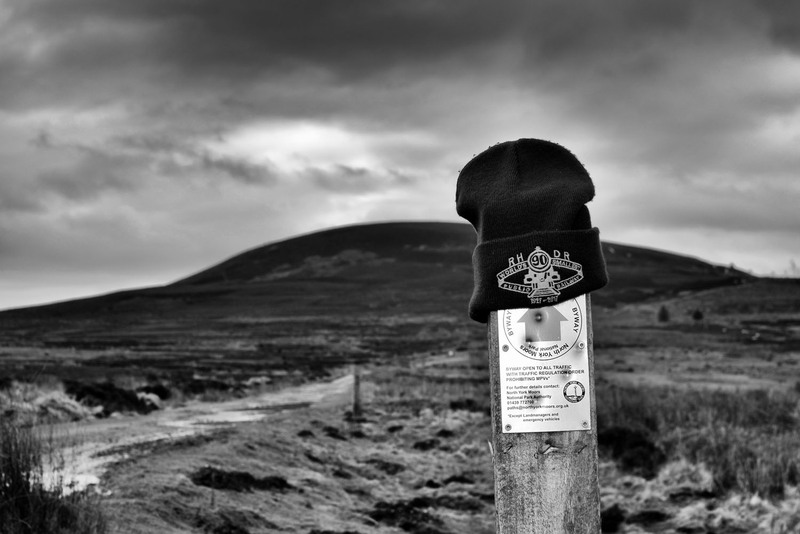 I sent my good friend and co-conspirator Chris Whitehead a message, an hour and a half later we met in the car park of the Lion Inn on Blakey Ridge, our destination Harland Moor. It’s a lovely drive down to Harland Moor we stopped briefly on Blakey Rigg to admire the beautifully carved handstone. After dodging suicidal pheasants we arrived at the circle which is marked on the OS map as a cairn. The circle was discovered by W R Crosland in 1930 and was described as an embanked circle 70ft in diameter with upright stones set at intervals. It had been at least a decade since I last visited the circle and remembered it as a rather ruinous place. I was surprised to find it quite recognisable, a slightly raised bank set with stones. 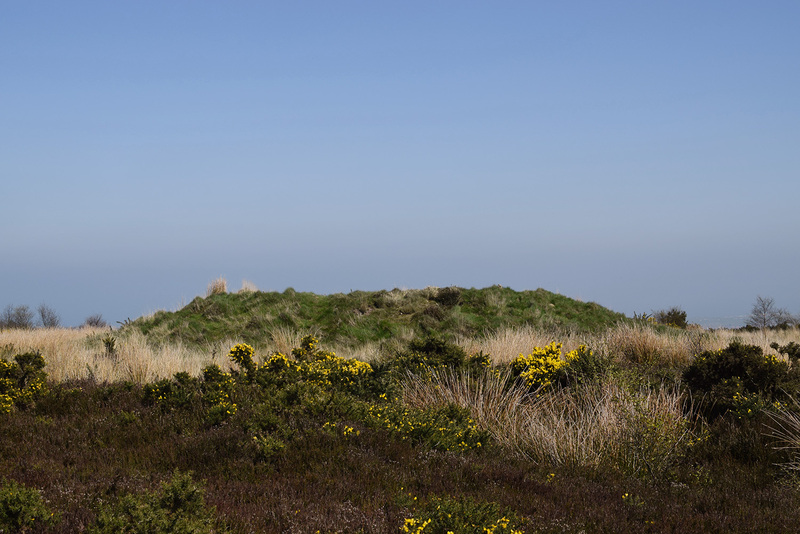 The circle is bisected by a hollow way with dense heather and bracken in the northern and eastern quadrant, which made spotting the stones a little difficult. Britain’s foremost expert on stone circles, Aubrey Burl, gives the circle a classification of 3 (Ruined but recognisable), I wouldn’t argue with that. A few metres to the west of the circle there are a number of stones that may be the remains of prehistoric walling but are so ruined that it is hard to tell. Interestingly, the three stones in the picture below are aligned 130 – 300 degrees which roughly aligns to the winter solstice sunrise and summer solstice sunset for 2000BCE. The main viewshed from the circle is to the south and west across the green tabular hills dipping down to the fertile Vale of Pickering below. 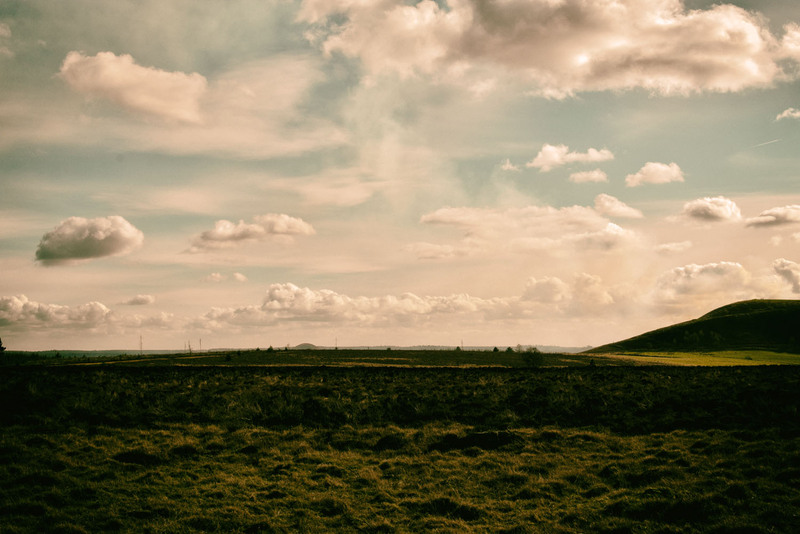 The views to the north and east are of the golden brown high moors intercut with fertile green dales. We decided to leave the circle, fortified by ripe, fat, sweet, juicy bilberries we headed north across the moor.